As we approach the February 6th launch date we're looking, in detail, at the components that make up Discover. Today, it's the front end and more specifically, what we can do with it. We've mentioned Discover allows us to collect data from multiple sources, process that and output to a unified display but what exactly can we collect? The answer is, just about anything. 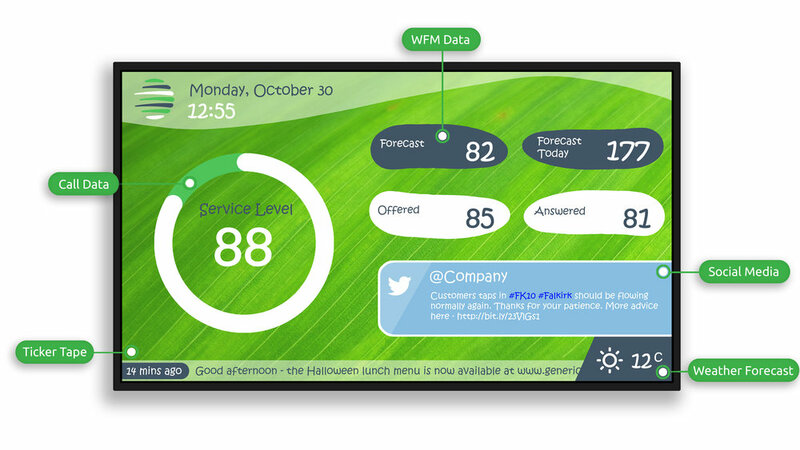 Combine AVAYA CMS data with: WFM, Salesforce, social media feeds, video, images or the weather forecast - we haven't thought of anything Discover can't use yet. The icing on the cake? Discover gives us precise control over the presentation of that data. Each wallboard is built from the ground up. Choose the focus, choose the data and add your brand identity - every element of the design is up to you. On the run up to launch, we have 4-weeks of content planned, exploring Discover in detail - there's some cool stuff coming so don't miss out. Follow us on LinkedIn, Twitter or Facebook to stay up to date on all things Discover. 'The Back End' is available to read right now, click below for fun.